Our environmental experts work with governments and organizations around the world to help them create sustainable waste management solutions. We design and implement strategies that consider the life-cycle environmental and cost impacts, and we support the development of regulatory processes for municipal, industrial, agricultural, and hazardous wastes management. At RTI, we have a distinct advantage in our ability to address and help solve waste management problems. We can capitalize on the complementary expertise of scientists and technicians working across the full spectrum of solid waste management, from design to implementation of integrated waste management strategies. 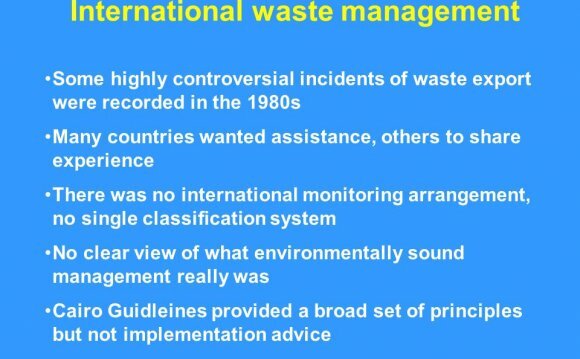 We have developed the following tools and models that are widely used to design and implement waste management strategies. Municipal Solid Waste Decision Support Tool, which is a peer-reviewed and U.S. EPA-funded life-cycle assessment and full cost accounting tool that simulates and optimizes alternative waste management strategies. These strategies include landfill with energy recovery, recycling, composting, and various waste-to energy technologies. A suite of life-cycle assessment models of emerging waste conversion technologies used to produce electricity and fuels. This suite of models was developed for various projects and includes anaerobic digestion, gasification, and pyrolysis technologies.